If you are facing trouble to share big or large files with your friends and want a solution quickly then you are at the right place. Today we will show you a awesome app that can help you a lot to get rid out from this problem. Read this post to solve the problem easily. You can find out the solution from here. So let’s begin. Today’s generation is the generation of share. If one of your friend have anything really nice he want to share that with all of you. But there is question behind this and that is how ? We have the answer about it. He can share the file with you in a short time with a great app. If you want to share your files with your friends in a short time then try out the given best Wifi file transfer app that makes your work easier and fast. And yes the app name is Xender. 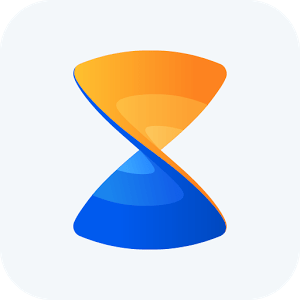 Xender is one of the popular app for sharing large files in a short time. You can get it on google play store. So let’s know how to install it. Type Xender on search bar. Chose the first one and install it. Open it and finish the tutorial. This app is so good to share your files to your friends in a short time. Let’s know some best features of this app. No internet, No USB is needed. It supports multi-Languages: English (US), Chinese, , German, Arabic, French, , Indonesian, Hindi, Japanese, Korean, Portuguese, Spanish, Russian. Transfers every type of files – pictures, videos, movies, music, even games & apps ! Xender also lets you connects your phone to any MAC/PC – even other people’s, anytime, anywhere ! File Transfer speed is Extremely fast. You can send your any type of video to your friends in just seconds! Xender supports group sharing to up to 4 devices. Easy File sharing between iOS and Android devices. Look at the features friends. There is a lot of features. You can get many opportunities by using this app. And the best part is it take a short time to complete the operation. You can use this app to share files in a short time to your friends. Hope you enjoyed the trick.